Thanks to HMHBooks for this great guest post! Participating in youth intramural soccer programs is a memorable part of growing up for many kids and their parents. For most, it’s the first opportunity to learn and play a team sport where you are dependent on others to be successful. When it’s a positive experience for both kids and parents, youth sports leagues like soccer programs can be the starting point for kids to join other team sports which develop character and good sportsmanship throughout childhood and into adulthood. 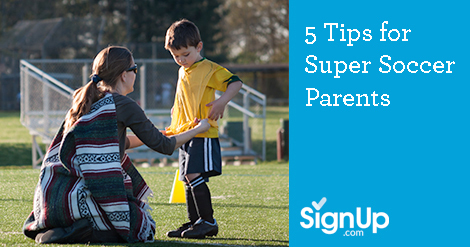 As a soccer parent, the key to helping your soccer superstar and their team thrive in their sport is by staying organized and keeping your child excited to learn and play alongside their teammates. From helping organize the weekly team snack after games to ensuring your child arrives on time for practice -- the soccer mom or dad always has to be prepared for anything. Whether it be a practice or a match, make sure your child packs their bag the night before. Don’t forget the essentials: uniform, shoes/cleats, water bottle, snack, sunscreen and a small first aid kit. Keep your athlete’s mind in the game and encourage their determination to succeed. 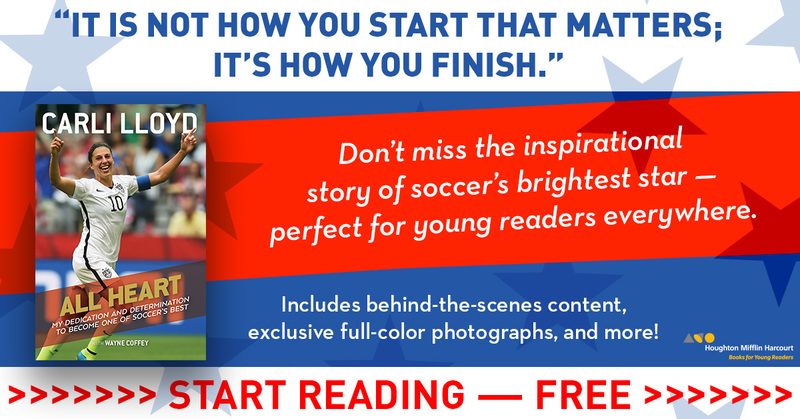 Get Carli Lloyd’s “All Heart” for your young reader today! This story from the celebrated star of the US women’s national soccer team is an inspiring, uplifting and candid memoir about Carli’s journey to the World Cup and her epic performance as a midfielder for Team USA. This action-packed account takes your young player inside the mind of a hardworking professional athlete. Never leave the house without a backup pair of clothes for your soccer player. It's inevitable that some day your child will end up in a mud puddle and you’ll be glad you had an alternate outfit on hand! Coordinate snack schedules and team parents online! Save time and boost participation with free, online team scheduling solutions from SignUp.com – organize parents to bring snacks for games and practices, not to mention car pool drivers and tournament volunteers. Parents will thank you! Keep your kids practicing and inspired - encourage ball skills at home. The time your child spends learning soccer skills at home, i.e. dribbling, inside vs outside of the foot passing skills - will help to instill a passion for the sport so game days become more about the game and less about the aforementioned snack.